Loneliness has its downsides, especially when it comes to our mental health. (Read: depression.) But there's another reason why you should have good company (or keep yourself occupied with your hobbies) when you're feeling lonely: It's also good for your body. A study published in the journal Proceedings of the National Academy of Sciences found that feeling lonely slows down your body's ability to fight diseases, making you more susceptible to getting ill. Researchers saw that people who're lonely had higher levels of norepinephrine (the hormone for the flight-or-fight response) in their blood. And when that happens, the body's immune defenses are shut down while the production of white blood cells is built up. (The white blood cells are supposed to protect us against wounds by increasing inflammation, a natural immune response to infections.) You might be wondering what the white blood cells and inflammation have to do with isolation. Well, that's the thing: nothing. That's just how the body responds. When you're lonely, your body thinks it's under a life-threatening situation, hence the flight-or-fight response with the wound protection or inflammation. Your body also shuts down genes that would make your bodies sensitive to cortisol, the hormone that lowers the inflammation. That means the inflammation response goes up all the more. And chronic inflammation is linked to illnesses like cancer, probably because the body just isn't built for sustaining high levels of inflammation for years. When this happens, a cycle is then created: You feel lonely, your body responds via inflammation, and your body sustains that so you feel more and more lonely. And for the body to get into this mode and think it's in a life-threatening situation when you're lonely? It says a lot about the gravity of loneliness, doesn't it? 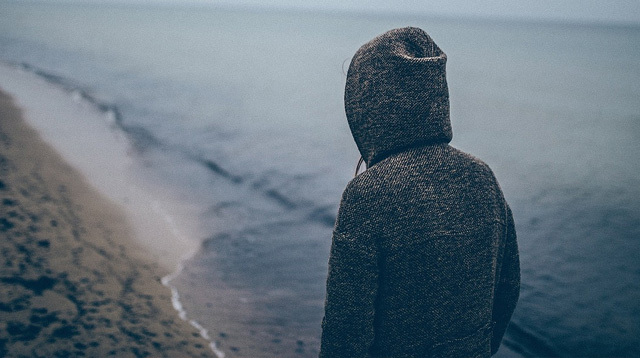 Steve Cole, the study's lead author, says "At this point, my best guess [is] that loneliness really is one of the most threatening experiences we can have." Turhan Canli, a neuroscientist, doesn't agree with Cole, though. He says our bodies have one panic button, and any condition can trigger that response. "I think loneliness is a kind of psychological stress. The change in the immune response is part of biological changes that come with a stress condition." Whether Canli or Cole is right, for sure loneliness does have huge and very serious effects on our bodies and on our health. It's not a trivial experience.